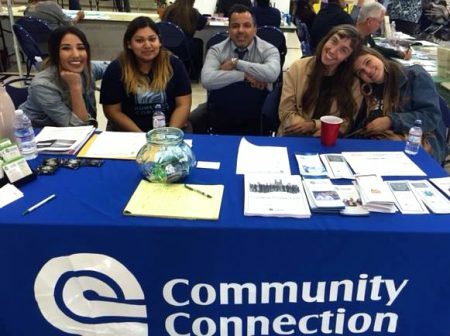 Community Connection is a non-profit mental health program of the Volunteer Center of Santa Cruz County and a Second Harvest Partner Agency. The program supports their clients by incorporating the Recovery Model, which helps them identify potential sources of meaning in their lives as active members of the community. To achieve this, the organization offers resources such as group counseling, educational support, and job support and training. The center believes that by focusing on the individual rather than the illness, recovery becomes possible. Engaging in self-discovery and meaningful activities allows clients to enhance their wellness. And their staff knows that one of the most important ways to enhance wellness is through proper nutrition. That’s why every week, they come down to the Food Bank to shop for food for their programs. They bring it back to the center to prepare healthy meals and snacks for their clients, who truly appreciate the fresh produce and full meals they receive there as part of their recovery—for some, it is the best nourishment they receive all day.